High pressure across Scotland. Hello. It's taken a while, well two cancelled attempts and a slight re-schedule to be precise, but the weather and conditions are now looking good for a crack at Ramsay's Round tomorrow. My start time is 0300hrs, Friday 12 June. Ramsay's Round is a 24 hour hill running challenge based around the Glen Nevis and Lochaber Mountains in the Scottish Highlands. It's probably not a concept many runners will be familiar with, but essentially it's the Scottish equivalent of the increasingly popular Bob Graham Round in the Lake District, and is a classic for sure. Due to the rather drawn out Scottish winter this year, I've already had to postpone the attempt twice, now meaning it falls just a week before the Dragon's Back Race ! Not ideal, but with all the hard work completed via numerous recce trips and setting up a brilliant support team to help - it's now or never. So I'm going for it. The Highlands always offer such an epic day out - it's going to be one heck of an experience whatever happens. You can follow my progress here. Thanks to the generous guys at Open Tracking for suppling the tracking facility. That is likely to be the one and only way to follow given the lack of mobile data coverage up here. Enjoy following and I will enjoy running. Good luck Jez. I'll be following on the tracker. 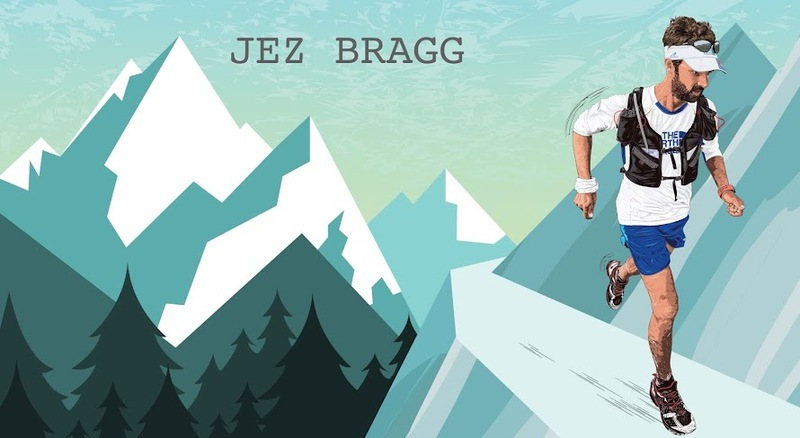 Have a great run Jez - I look forward to tracking it ! Go Jez, with you all the way. Good luck Jez. It's a beautiful round. Also obsessively watching, and looking good so far! The weather seems set at least (though down here in the Lowlands is never a good gauge; I can still see snow on the Trossachs from home). Doing the Dragon's Back after this is mind boggling, you're a hero!! Wonderful, a great time. Watching this was strangely adictive - I can't imagine the running would have been as fun.